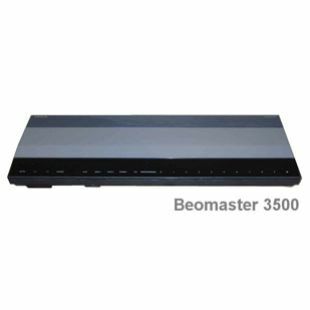 Beomaster 3500 was a part of Beosystem 3500 which comprised the Beomaster 3500 receiver, Beogram 3500 CD player, Beocord 3500 cassette recorder, a pair of Beovox RL35 speakers and a Beolink 1000 remote control. The whole system in the autumn of 1991 cost just 1600 euros (about £1100). The system's lines were pure with everything superfluous omitted. It was specially designed to hang either on a wall or sit on a shelf or table. A light touch on its illuminated display gave immediate access to AM/FM receiver, CD player and cassette recorder; all of which were the latest and best in their respective fields. The system was completed by a pair of RedLine RL 35 speakers and operated via a Beolink 1000 remote control unit. 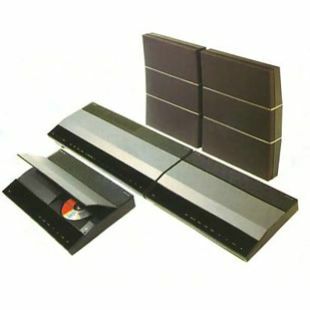 The system was similar to Beosystem 4500 but had a matt finish on the top panels as opposed to Beosystem 4500's shiny panels. The electronics were a cut-down version of its more expensive brother.